A flexible workspace without a monthly fee. Need a place to get work done? Many coffee shops are crowded, noisy, and uncomfortable. We understand that finding a place to collaborate and get work done can be a real pain. That's why we created The Haverstick as a flexible co-working space located on the North side of Indianapolis. 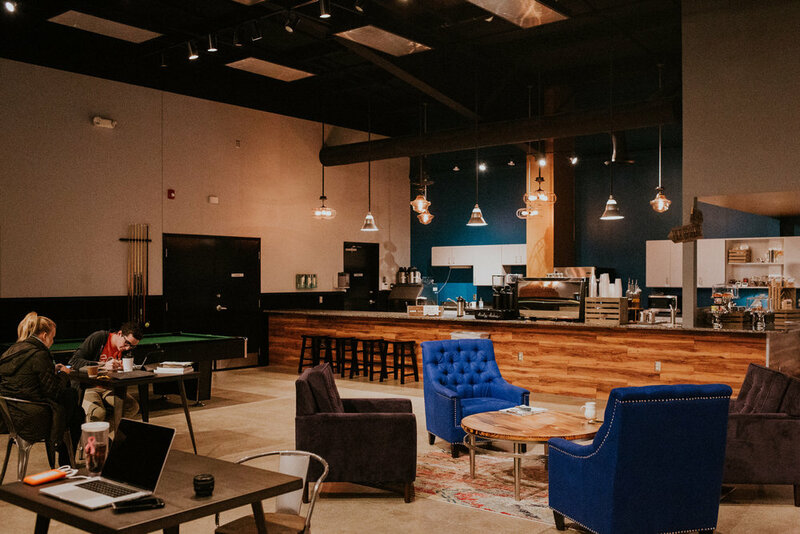 The Haverstick is a place where you can relax, collaborate and be productive, without a monthly fee. Tired of working from home or want to get out of the office? Need a central location to meet up with friends or co-workers? Looking for reliable WiFi and plenty of open seating? Thank you so much for reaching out! We will get back to you as soon as possible! Fill out the form on the left to ask us any question that you have! We will respond as soon as possible!